The Department of Pathology thrives on daily patient care, training the pathologists of the future & teaching medical students the basic foundations of pathology. The constant application of ever-new methods in pathology is a goal, along with providing resources that are both current & proven. Residents & students learn in an up-to-date environment that is also rich in history. Our vision in our complex & multiform setting is to serve all & to imbue that concept into our daily lessons. (1) Patient care is always our first goal. (2) The training of our residents & medical students is a priority. (3) The integration of cutting-edge research in the academic lives of our attendings, residents & medical students is a must. 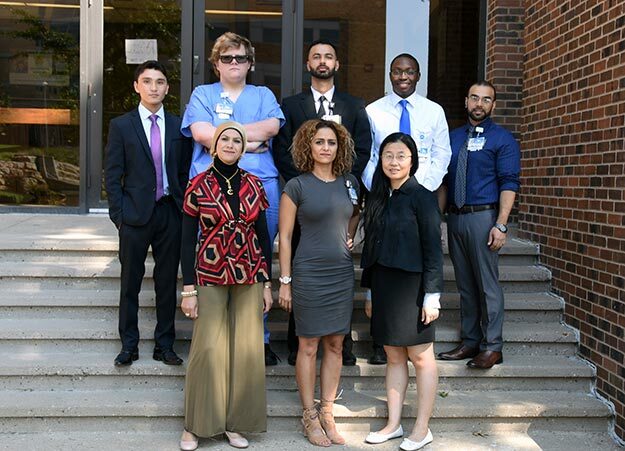 UMKC SOM Pathology Course Evolution: Offered since 1971, initially as Laboratory Medicine/Clinical Pathology 4x per year for MS4 & MS5, then in 1989 Pathology Course was taught 2x per year (50 students each) for MS4. Today, we teach the course during the winter semester annually to MS3 (100 students).